Studio Designs' Deluxe Task Chair fits the needs of students and professionals alike. Features include a contoured padded seat and back that ensure all-day comfort. 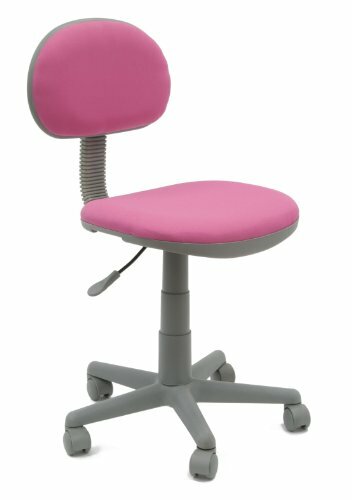 The pneumatic seat adjusts from 16''-20.5'' in height. A five-star nylon base includes covered wheel casters for mobility. Available in fun colors: Black, Blue, Pink & Purple. Overall dimensions: 21''W x 21''D x 30.5''-35''H. Pneumatic Seat HeightAdjustment: Min.16", Max 20.5"
Pneumatic Seat Height Adjustment: Min.16", Max 20.5"